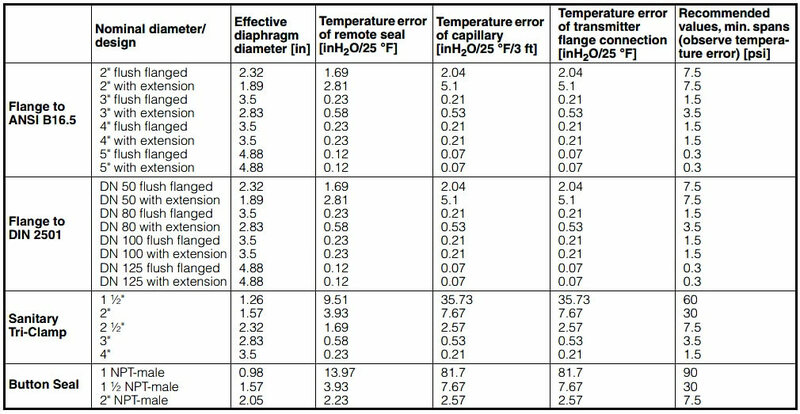 The temperature error determined above only applies to the error resulting from connection of the remote seal. The transmission response of the respective transmitter is not included in this consideration. It must be calculated separately, and the resulting error added to the error determined above from connection of the remote seal. Values apply to fill fluid: silicone oil DC 200, high-temperature oil, halocarbon oil and Neobee M20. Values apply to stainless steel as the diaphragm material. 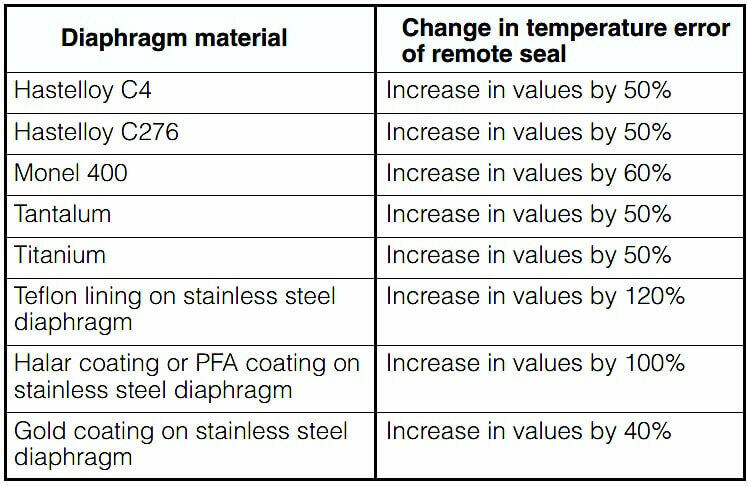 The errors listed in the tables on pages 2/140 and 2/141 refer to the use of stainless steel as the diaphragm material. If a different material is used, the listed values change by the amount shown in the following table.